254 Bass Ln, Naples, FL.| MLS# 218073455 | Southwest Florida Residential Real Estate for Sale. IMPERIAL WILDERNESS R.V. 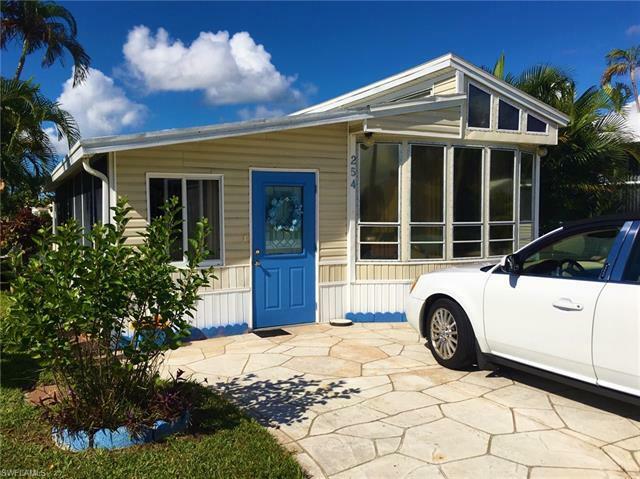 RESORT: 55+ community, Beautiful 1989 park model, on the water, 1 bedroom, 1 bath (tub and shower ), tile and carpet, Micro wave, dishwasher, Washer/dryer, nice patio sitting area, All glass windows, air conditioner ( 2016 ), newer roof. SITE INCLUDES:Water, sewer, cable t.v, Irrigation, Tel availability, Heated swimming pools and Jacuzzis, All weather tennis court, Shuffleboard, Welcome center, Clubhouse with dance floor and banquet facilities, Fitness center, Pool tables, Library, Laundries, Restrooms with showers, Planned social activities and events, GATED SECURITY YOU OWN YOUR OWN LAND.